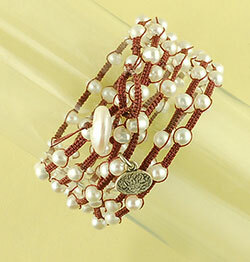 Looking for a cool way to use up your gorgeous fresh-water pearls or any other beads? If so, join Kelli as she will teach you how to make a micro macramé wrap bracelet, or necklace, using cord and your favorite beads. This class is for all skill levels.